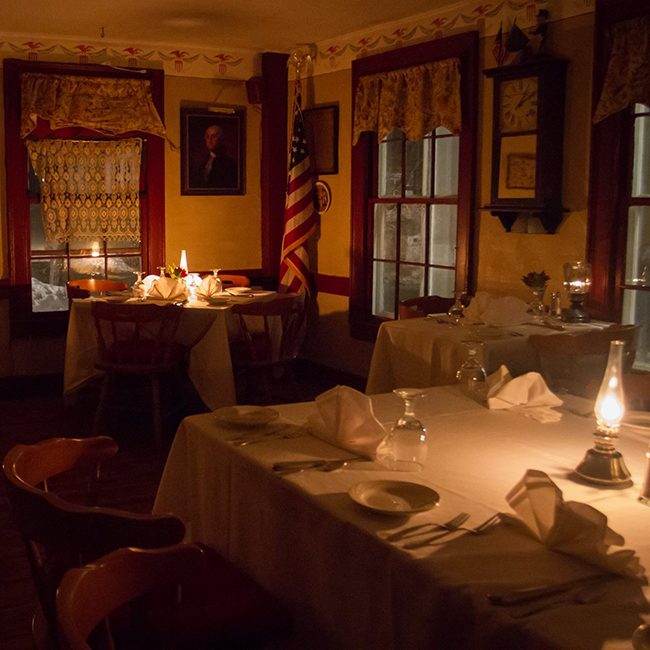 That’s right no lights, just the flicker of candlelight, the glow of oil lamps. the roar of the fireplace, classical music, great conversation, great food and drink, set the mood for this fun and historic evening. Enjoy an evening, much in the way an 18th century guest would have, the 2nd Tuesday of each month throughout the winter. Ye Olde Tavern looks forward to seeing you! Reservations are suggested.